Looking for a laptop that satisfies your daily with fast data transfer and a long battery life, the Lenovo G4080 offers these and so much more. With its 14 inch HD widescreen display and renowned keyboard and large storage space. the Lenovo G4080 is your number one choice. The Lenovo G4080 features a 14 inch HD display which delivers bright & crisp visuals. With its 16:9 widescreen format and 1366 x 768 resolution, your sure to enjo picture, video and text clarity. Enjoy seamless data transfer between the Lenovo G4080 and other devices with SuperSpeed USB 3.0, which enables up to 10 times faster file transfer. The Lenovo G4080 features a low-light sensitive 720p HD webcam with wide-angle viewing and face-tracking that offers high resolution and better quality. This ensures you never miss a thing during Web Conferences & VOIP meetings. The Lenovo G4080 speakers with Dolby Advanced Audio provides consistent volume levels, Distortion-free performance and total audio control. Hear every detail clearly and experience the full impact of your entertainment anywhere. With up its 1TB HDD storage, you won’t have to worry about where to put all your data, videos, music, or photos. The G4080 comes with HDMI for easy connection to a television or other display units. The Lenovo Cloud storage ensures data is maintained, managed and backed up remotely. Automatically back-up and synchronise data across the organisation, while enabling access from multiple devices. Data is encrypted on transfer for an extra level of security. 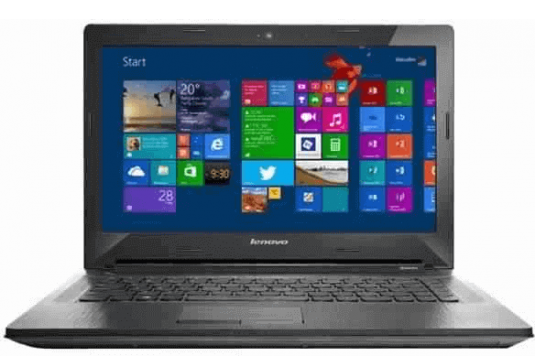 The Lenovo G4080 has a 4-cell battery and 4.5 hours of backup time so you do not have to worry about running out of batteries while on long flights, or when working out of libraries or coffee shops and it uses advanced energy-saving technology to increase time spent between charges.